Thousands are in jail for breaking the protest law. Revolutionary hope takes a backseat to stability and security. Yet, despite the crackdown on opposition politics, an unlikely source of protest is taking back the streets. The motivation is liberation theology. The medium is street theatre. The 68-year-old Jesuit is one of the few Egyptian Christians influenced by the Latin American movement. He has written fourteen books, five on the subject. In the 1960s and 1970s, activist Catholics pushed the church not just to care for the poor, but to liberate them from political and economic structures that held them in place. Pope Francis has warmed to this heritage, designating the murdered Salvadorian bishop Oscar Romero a saint. But in Egypt, Sidhom said, the church is afraid. So instead, Sidhom, the self-proclaimed Christian Marxist, has surrounded himself with Muslim activists. From 2011 onward they were at the forefront of the Egyptian revolution. Youssef Ramez, the youthful Coptic general-coordinator of Sidhom’s Nahda Association, said the NGO was a centre for much of the early artistic graffiti in and around Tahrir. Nahda is located in the working-class neighborhood of Faggala, only a thirty-minute walk from the iconic square. For the past fourteen years Sidhom has sponsored acting, painting, music and literacy for residents and artisans alike. In 2005 he partnered with Mostafa Wafi’s ‘Popular Imagination’ street theatre troupe, placing the Muslim leftist and human rights activist in charge of art and cultural activity. 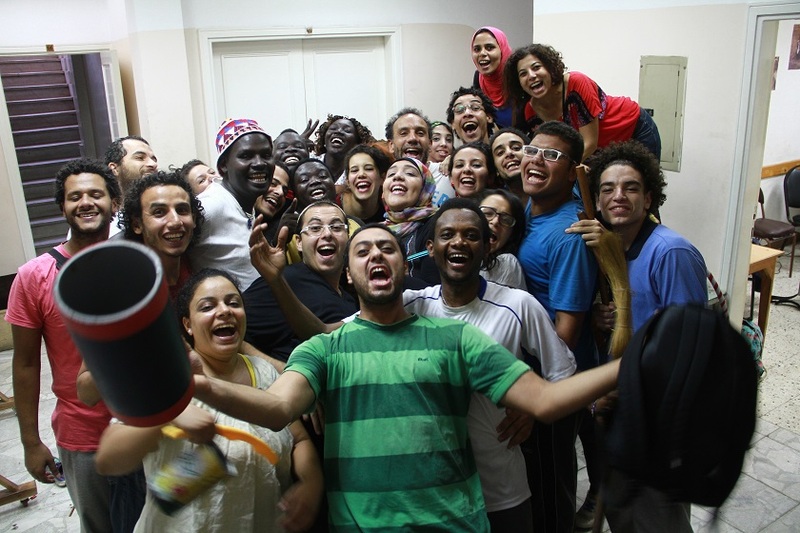 In 2012 they created the Nahda Art School, whose acronym deliberately forms the Arabic word for ‘people’. Saturday before sunset prayers, the people hit the street. ‘What are their demands?’ asked an intrigued resident playfully as the group of twenty moved from the centre to an open sidewalk in front of the local chemist. With five Sudanese refugees at the head of the procession, the students chanted an African tune before launching into a fifteen-minute sketch. Then they marched back to the centre, again in song. Several peered from their balconies. Traffic along the narrow side street came to a halt. The Nahda effort to share culture with local residents is rare but not quite unique. ‘Our Street Cinema’, funded partially by the British Council, shows current and vintage films in the streets of Salam district in Cairo. 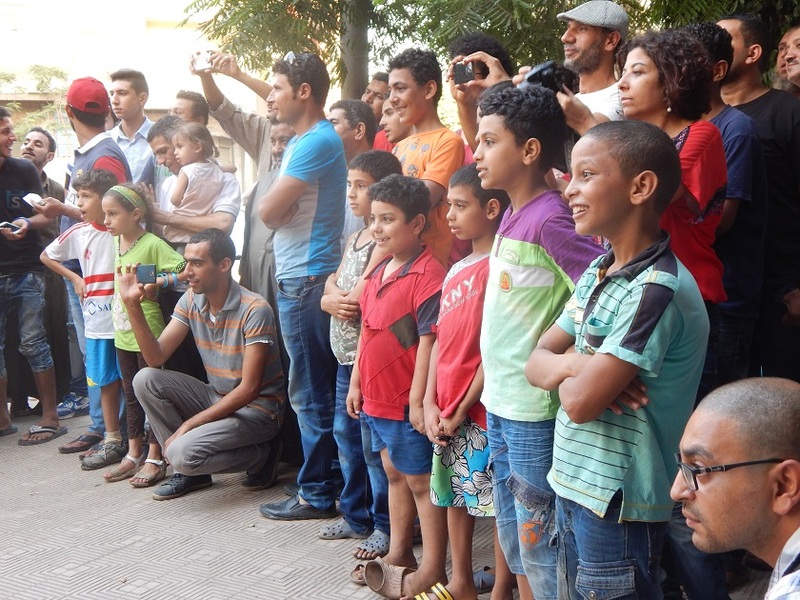 ‘Mahatat for Contemporary Art’ stages opera presentations in residential balconies in the Delta cities of Port Said, Damietta and Mansoura. But ‘Art is a Square’ grew too popular—and perhaps too provocative—for its own good. Despite receiving on-and-off funding from the Ministry of Culture, security forces shut down its monthly offerings of art and music. The Nahda sketch had an ‘indirect’ political message, said Italian-trained acting coach Hamdy el-Tounsy. His students designed content under his supervision, consisting of several short scenes from everyday life. Issues included racism, sexual harassment and drug use. But nestled in was also a reference to an opposition newspaper, doubling as a pun about absent human dignity. 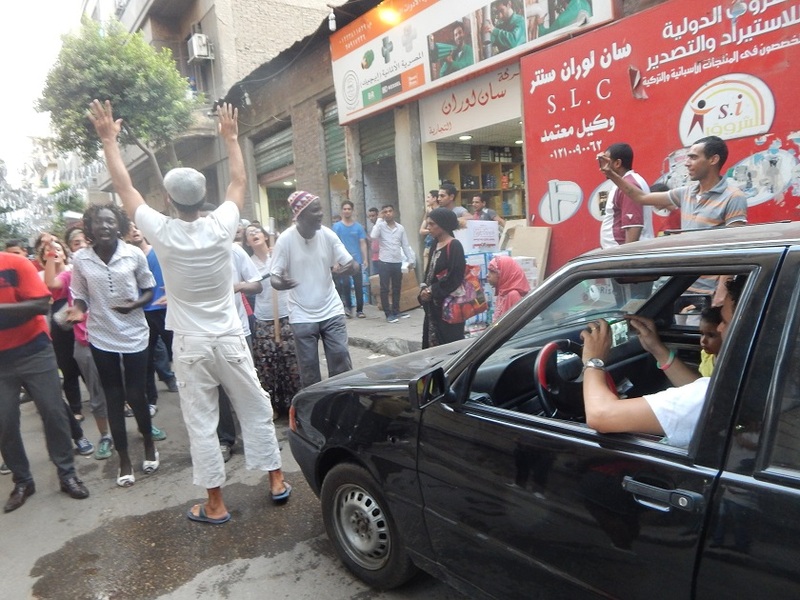 Wafi’s ‘Popular Imagination’ troupe has produced street theatre performances about public space, freedom for women, and emigration. But it was The Colours’ Revolution that carried a direct political message. ‘Dictatorship destroys diversity,’ he told Lapido. But Wafi’s greater concern is ‘daily politics’, the kind that organizes neighborhoods and clears garbage from the streets. Last year, as Islamist protests were squashed under President Sisi, Colours was performed over 150 times throughout Egypt. Each performance is cleared first with local neighborhood leaders—café and chemist owners in the most recent example. Should the police show concern they assure all is OK. Even so, Wafi considered and then declined a revision of Colours. ‘The atmosphere is not right,’ he said. Currently in production is a play about water pollution. Wafi considers himself a non-practicing Muslim, but is positive about Sidhom’s liberation theology. 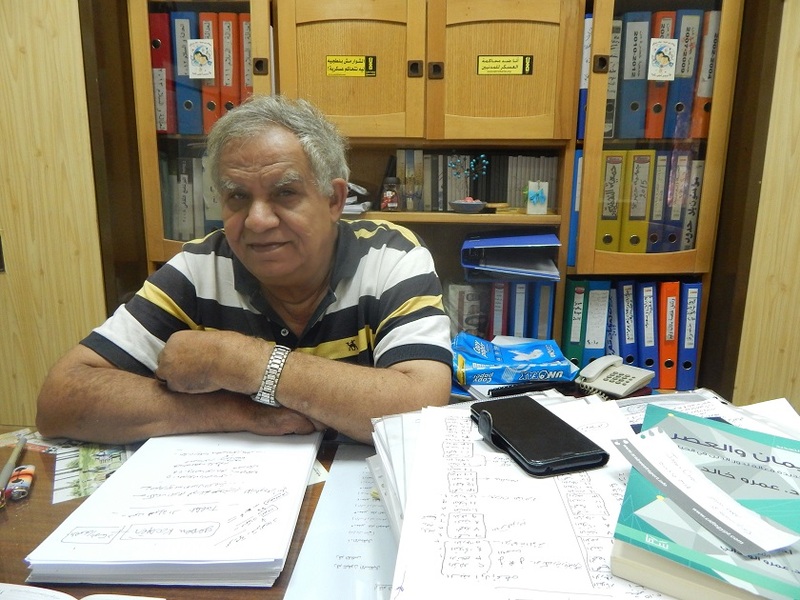 Copts’ strong attachment to the church, he believes, hurts the concept of citizenship. But Christians in Sidhom’s circles are driven to help the poor and marginalized. The sponsorship of the church also gives cover to Nahda’s work, he said. Independent activists have much less space to operate. Catholic Church spokesman Fr. Rafic Greiche said that Egyptian church hierarchy distances itself from liberation theology because of Latin American associations with communism and violence. Ramez said that apart from Christian activists, almost no Copts have even heard of it. But for Sidhom, the believer must ‘defend justice, build society, and secure the interests of the poor’. There are many methods, some revolutionary. His path is development through the sharing of culture. ‘Revolution is not to change ten officers with ten others, but to change society,’ he said. ‘This requires great patience. This article was originally published at Lapido Media.